It only takes one time to be stranded on the side of the road before you realize the importance of the cooling system. The engine needs to be cooled down in order to maintain safe and reliable road travel. 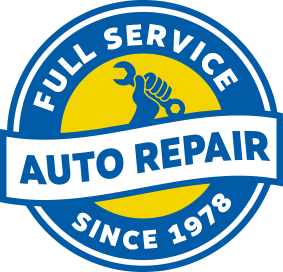 SAF-T Auto Centers in Wallingford, CT performs all the quality maintenance and repair services for your cooling system, including radiator repairs and replacements, coolant fluid refills, corrosion and contamination removal, and more. Just like any vehicle part, the radiator is susceptible to breakdown when it does not receive the proper attention. Heavy use, age, salt accumulation, and humidity will cause the radiator to fail and wear down from the inside. The most common cause for a radiator malfunction is a coolant service need. We fix coolant leaks completely so the engine has sufficient fluid flowing through the cylinder head, which will cool the engine. Our team repairs leaks in hoses, water pumps, thermostats, and more. Many of us have experienced the overheating of our engines on a hot and humid summer day. The only thing we can do in that moment is pull over and let the temperature go down. Our first priority should be to save the engine from extensive damages. The overheating must be stopped as soon as possible because that’s the easiest way to cause thousands of dollars in costly repairs. Maybe we pour some water into the radiator, but we NEVER pour cold water in a still-hot radiator because the sudden temperature change may cause the engine block to crack. The cooling system experts at SAF-T Auto Centers will handle your cooling system’s performance before it compromises road travel. Bring us any radiator repair needs to keep your cooling system in optimal condition. Clogging can also cause the radiator to fail which leads to overheating. Also, the radiator fan helps reduce the coolant’s temperature. Protect and preserve your engine’s quality performance by equipping your vehicle with the best radiator possible. Let our technicians provide quality radiator repairs and replacements. SAF-T Auto Centers knows how to prevent your engine’s overheating and extend it’s road-life. Our cooling system maintenance services will inspect, clean, and adjust any components that enhance your vehicle’s overall performance. We’ll make sure your vehicle’s cooling system is able to regulate the temperature of the engine. As with most engine maintenance and repairs, timing is vitally important. Visit our repair shop for a radiator repair, service, inspection, or replacement. Give us a call at 203-599-4875 (Wallingford location) to schedule your vehicle’s next radiator repair. You can save time by using our convenient online scheduling system right now. Next time you’re in the area–121 North Plains Industrial Road–feel free to stop by. We gladly accept all of our walk-in customers!